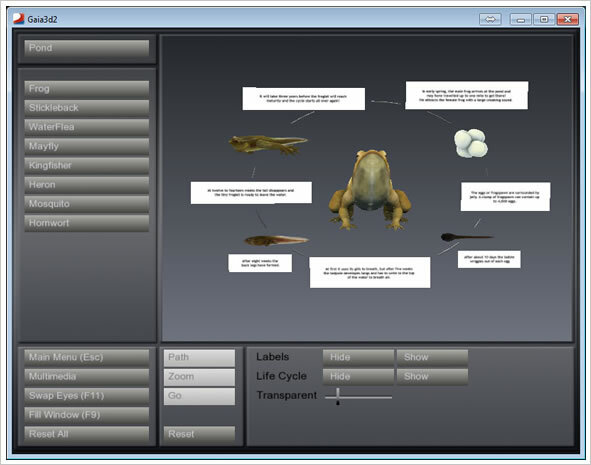 The Gaia 3D Viewer has been designed with the classroom in mind. 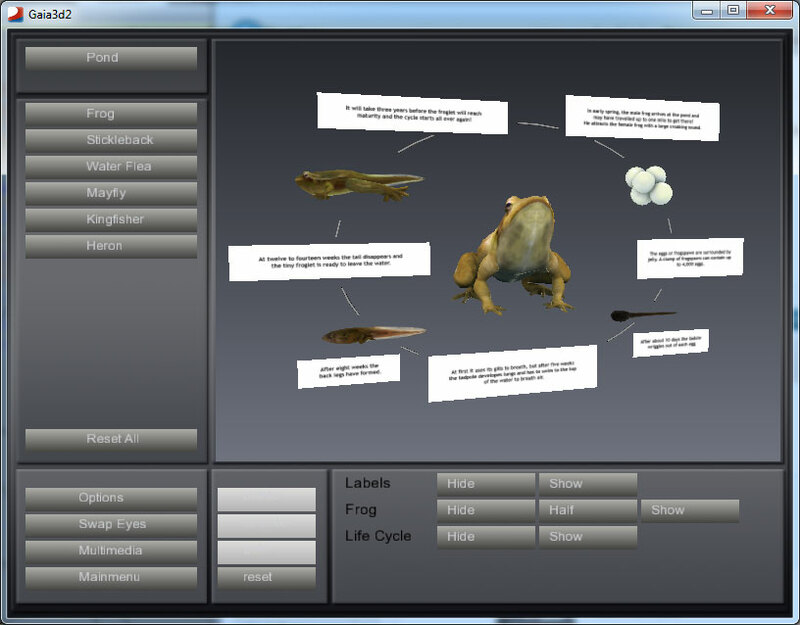 Our simple interface requires no training and teachers are able to start teaching lessons in 3D straight away. Different Viewer options offer a variety of capabilities allowing maximum flexibility in the classroom. We offer a variety of lessons covering all subjects from Biology to History and Geography. Each lesson can be enhanced by the teacher with the capability to quickly and easily embed external assets directly into the lessons provided. 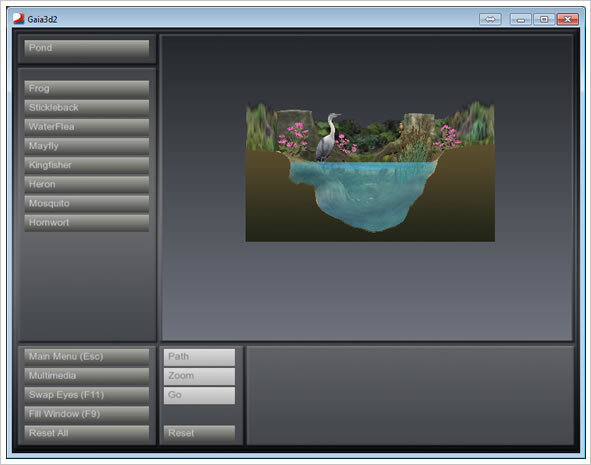 The Viewer is compatible with a wide range of external assets from PowerPoint presentations, to web links and animation files. 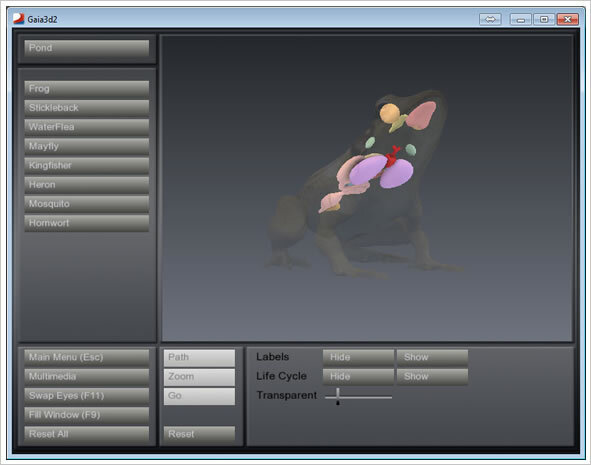 Teachers wanting to add any of their own assets can easily do so and those added in standard format (such as .3ds and .obj) will instantly be available within the Viewer. 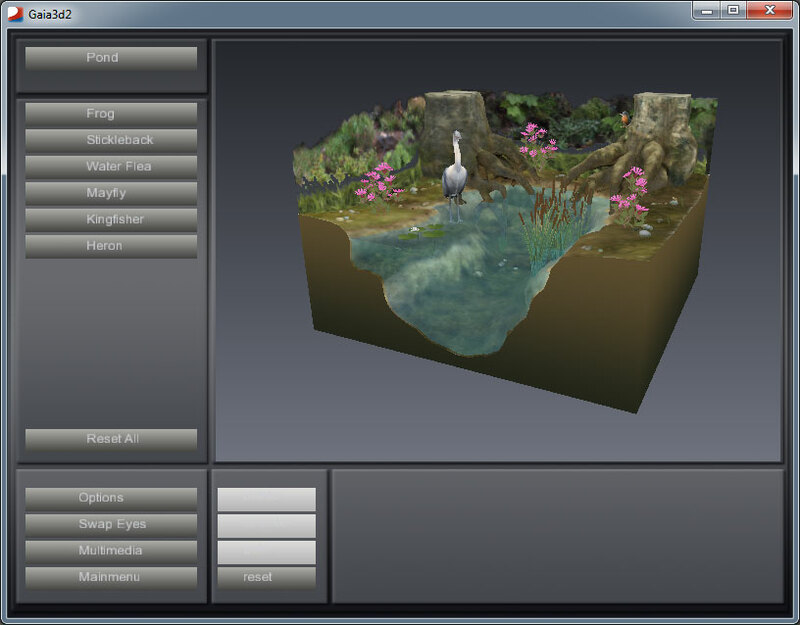 Assets can also be embedded directly from sites such as Google Warehouse, opening up an extensive external library. 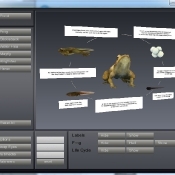 These assets can be drawn on each time the lesson is loaded. 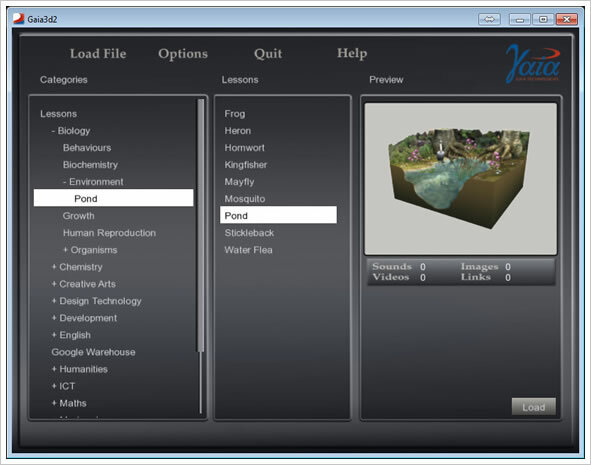 Our full environments, such as the Roman City and Pond Ecosystem, allow teachers and pupils to explore and discover in a virtual environment. 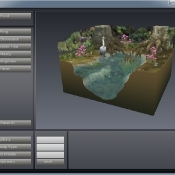 Using the camera function in the Viewer, teachers may individually determine and control the path they wish to travel inside any selected 3D environment. For instance, take the classroom on a virtual tour of ancient Giza or on an underwater hunt for tadpoles. 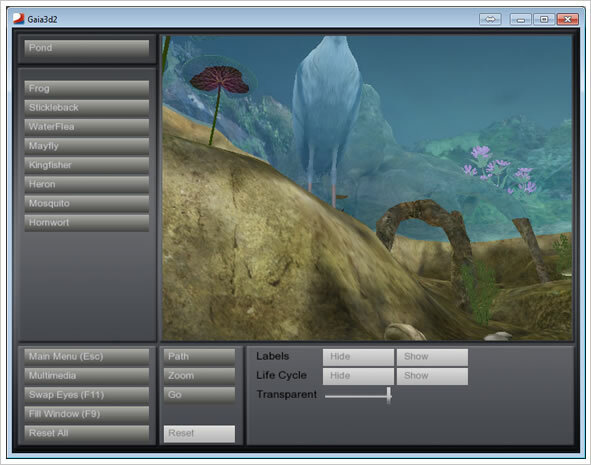 Environmental controls within the Viewer provide the opportunity for teachers to immerse pupils in more than just the sights of these environments. Feel the frost on the ski slopes or handle the heat when viewing the volcano structure. Hear the sounds of distant gunfire in the WW1 Trenches or the waves crashing on varying shores. 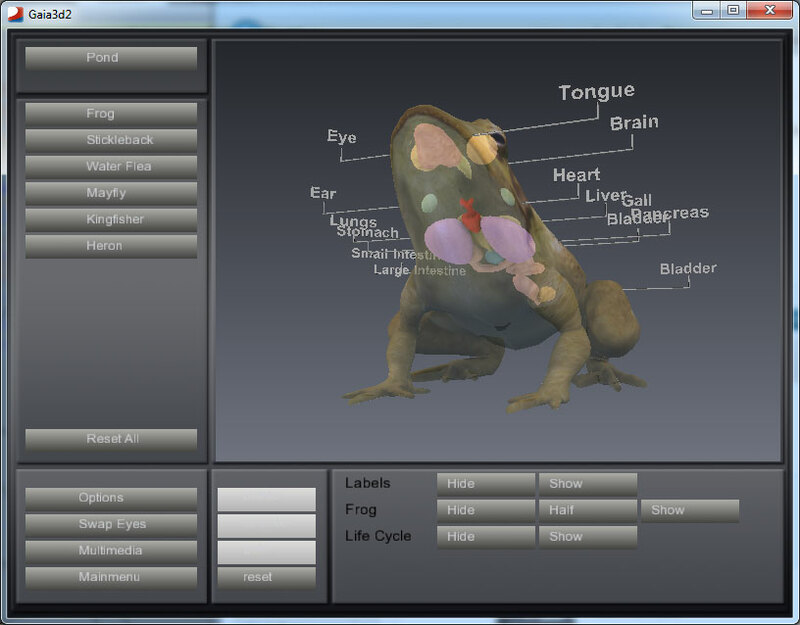 The fully immersive system engages students in a new way, bringing excitement into the classroom. 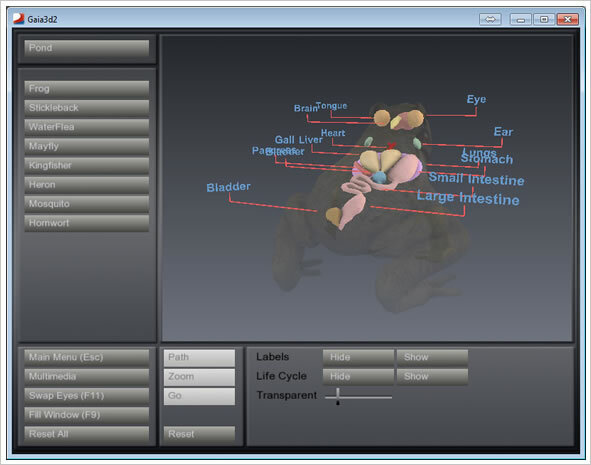 The Viewer has been designed to work in 2 different modes, on single or multiple monitors. Working over multiple monitors allows one screen to be designated as the control screen. 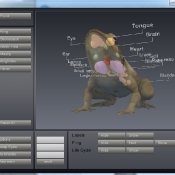 This enables all loading screens and menu bars to be visible only on the control screen, allowing lesson components to be queued up without disrupting the visual experience. As the software and all of its contents function in the exact same way when viewed in non-stereo, the control mode can be viewed in non-stereoscopic vision, while everything on the projection screen will be in full stereoscopic view. 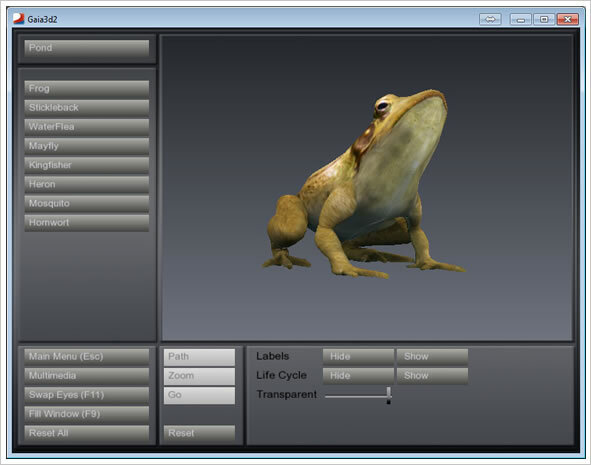 We have an extensive library of 3D content and we are constantly creating more. All content is syllabus specific and we have a team working closely with schools and academies to develop new and bespoke lessons tailored specifically to individual school needs. Each lesson can be enhanced by the teacher with the capability to quickly and easily embed external videos and images directly into the lessons provided. All new content is immediately accessible and shared between schools—giving you access to a constantly expanding collection of 3D models.